UHIVE | Who is Around Me? Do you wonder about your surroundings? Are you curious to find out how many users are around you while exploring a particular interest? 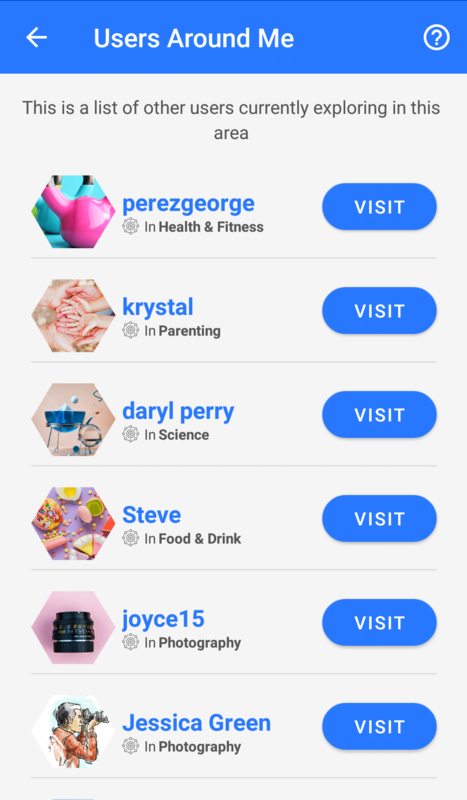 As you scroll through alternate spaces of your chosen interests, you will be able to identify other users around you and get a glimpse of your surroundings by simply clicking on the ‘Users Around Me’ option, and a list of all the users will be displayed. Additionally, if you wish to communicate with users around you and wish to explore their spaces, you will have the option to follow them and interact if you choose to do so.